With the dawning of 2016 many of us have made ambitious plans and resolutions for Bible reading. Meanwhile, the new year promises the publishing of a host of books, Christian and otherwise, all competing for our attention, not to mention the bookshelf full of old books still begging to be read. But with our limited capacity and time for reading, perhaps the one book other than the Bible many Christians should consider opening this year is the Qur’an. The question of what is true Islam has become our generation’s whistling teapot. It’s a question pondered in the media and debated across social media. In the classroom, the breakroom, and even the dining room, Christians will have to give an answer. But I fear many well-meaning believers will be tempted to make absolute truth claims about a people they don’t know, a religion they’ve barely studied, and a book they’ve never read. Living in an Islamic country, I’ve found one of the most frustrating aspects of talking with Muslims can be their preconceptions concerning the Bible. Over the years I’ve heard innumerable claims about Christian Scripture (called the Injil in the Qur’an) and what I apparently believe. Of course, the standard rebuttal is that the Injil itself has been changed or corrupted. Another preconception is that the Injil was given to Jesus, much like the law was to Moses. I’ve been authoritatively told that John’s Gospel foretells the coming of Muhammad. It’s also been explained to me that Christians worship the trinity of God, Jesus, and Mary. We accept four Injils. Or was it five, or six? In my experience, these ad hoc assertions generally come from well-meaning, trusting Muslims who simply believe what they’ve been taught. They adamantly want to defend their faith. However—and this is significant—most have never read the Bible. Aside from the logical quicksand which would dare reason from a “corrupt” book, they make a further leap and argue about something which they’ve never researched. Both are dangerous. And both are missteps I’ve seen Christians take. The fact is, Americans today are surrounded by Muslims. You don’t have to live in Detroit to see a woman in a hijab in the produce aisle or to pass a mosque along the highway. When I lived in Louisville, I was mostly unaware of the Muslim population—people from the Balkans, the Horn of Africa, Central and South Asia all around me. I probably bumped into them every week without realizing it. Today there’s even a Muslim community in the small town of Somerset, Kentucky, consisting of medical personnel working in the local hospital. When Christians read the Qur’an we’re investing in our evangelistic and apologetic capital. By doing so we show genuine respect to our Muslim neighbor, respect enough to try to understand their religion. We also, in the process, may gain their respect. My Muslim friends often want to know if I’ve taken the time to read their holy book. When I answer in the affirmative, it gives them pause. It also gives me leverage. I can challenge them to read the Bible for themselves. Additionally, when they know I’ve read the Qur’an, they know I take my own faith seriously. I’m not just blindly accepting the faith of my fathers or the faith of the West. 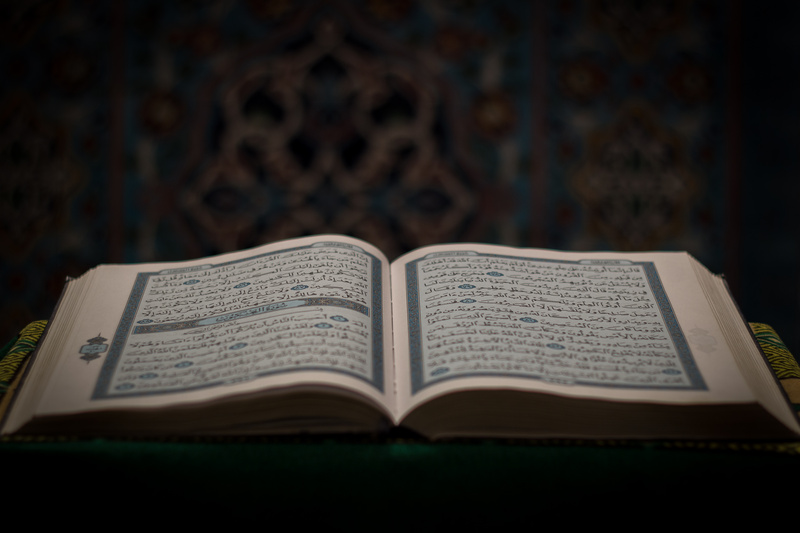 Reading the Qur’an reveals prudence and a posture of humility. Mind you, the Qur’an is not light reading. I’ve found it repetitive and boring, even confusing. I would assume my non-Christian friends would say the same of the Bible. But if we are to reject a book and critique its religion, we should work hard to grasp its message. The sad fact is that it’s perilously easy to be dogmatic about what we don’t understand. In religious dialogue and evangelical witness, we must avoid secondhand and baseless claims about Islam. Such barbs discredit both the gospel and its messengers. Further, mature Christians who diligently study the Qur’an will likely come away with a renewed appreciation for the God of the Bible—for his love and grace and condescension and personhood. While I may not encourage a new believer to begin researching Islam, I don’t think we have anything to fear in the pages of the Qur’an. In fact, unlike the Muslims I know, we need not fear asking questions of our religion. This, in part, is why I think Christians have traditionally believed that careful and even-handed study of other religions has a way of exalting Christ and grounding us in our faith. 1. There isn’t consensus on accepted translations of the Qur’an. Be aware that in any given context the translation you read could be discredited and your argument rejected out of hand. 2. If you procure a hard copy of the Qur’an, remember Muslims venerate their holy book. If you carry it around flippantly, place it on the floor or under other books, or display it in a disrespectful fashion, you may inadvertently torpedo the evangelistic conversation you hope to have. 3. The Qur’an is only the beginning of Islamic theology. Much teaching and practice comes not from the Qur’an but the Hadith. Again, those books are not canonized and may be disputed, with different groups accepting different books as authoritative. 4. Be thoughtful of how you’d use your knowledge of the Qur’an in apologetic and evangelistic discussions. By quoting Quranic verses that seem to validate the Bible or Christian teaching, you may be inadvertently ascribing authority to a book you don’t accept. As much as we desire for Muslims to read and interpret the Christian Scriptures with respect, we should be willing to do the same with the Qur’an. In fact, I think that’s part of what it means to love our Muslim neighbor. Editors’ note: A English translation of the Qur’an worth consulting is that by Abdullah Yusuf Ali.